What do you call a wealthy person who avoids paying his share of taxes? 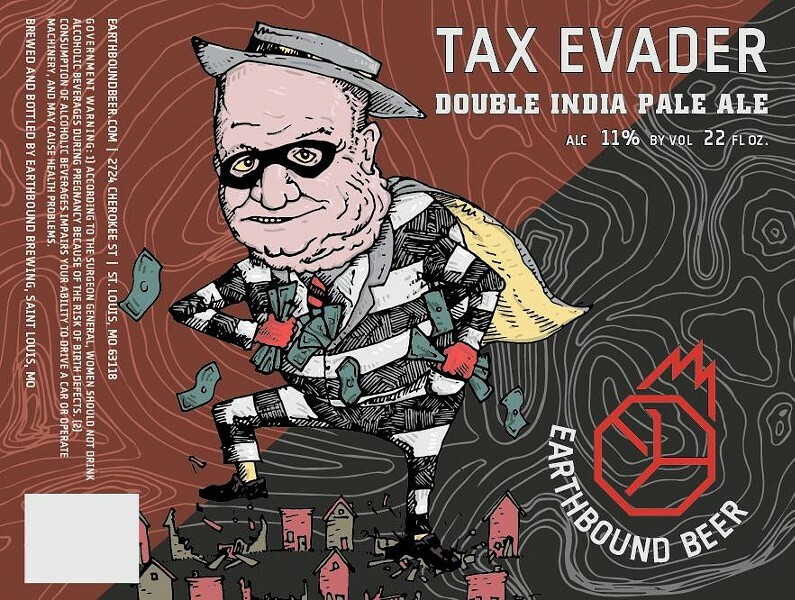 If you're St. Louis-based Earthbound Beer (2724 Cherokee Street, 314-769-9576), you'd call that a "Tax Evader" — and, on the label of your beer of the same name, you'd depict a robber baron who looks suspiciously like Paul McKee. But! It isn't actually Paul McKee, insists Stuart Keating, the brewery's co-owner. "Any apparent similarity to any actual person in that label is purely coincidental," he says. Asked why the cartoon might look so much like the city's most notorious tax-avoiding developer, Keating posits, "I think a lot of people inclined to seek these tax credits have a type — they're jowly and old and white." Indeed. As Keating tells it, the Tax Evader has been part of Earthbound's portfolio for years. The inspiration for its name comes from one of its key ingredients, jaggary, which British brewers in the eighteenth and nineteenth century used to avoid the taxes assessed on malt. But it's only recently that the brewery started gearing up to sell the brew in 22-ounce bomber bottles. At that point, it turned to co-owner Robin Johnson, who is also Earthbound's resident artist. They dreamed up the label in part as a criticism of developers who have a tendency to come to the city with their hands out, begging for tax incentive financing (TIF) or abatements — and, all too often, get them, even as the city struggles to provide basic services. "We do business in the city of St. Louis," Keating says of Earthbound, which recently moved into a much bigger headquarters on Cherokee Street. "We pay our taxes and we're very happy to do so. And every day we see businesses our size that do renovations without TIF deals and tax abatement deals. We're perplexed as to why the city sees them as critical for others." Keating says Earthbound has benefited from a small business loan from the city. But they're repaying it, and he's frustrated to see the city giving away so much tax revenue to businesses. "Especially because it comes out of property taxes, which is just about the only thing that funds vital city services," he says. While McKee has been one of the most notorious examples — demanding, and getting, millions in tax credits just to develop a grocery store — it's been all too common for developers to get TIFs and abatements even for thriving neighborhoods like Lafayette Square and the Hill. The city recently acknowledged it lost out on $29.6 million in revenue in 2017 alone, apparently a rounding error from its previous estimate of $17 million. Keating, who is active with the St. Louis chapter of the Democratic Socialists of America, acknowledges that he's hoping to push buttons. "I think that where you can see a ludicrous injustice, and find levers to pull, you should do so," he says. Still, that doesn't mean all the brewery's labels going forward are going to provide political commentary. 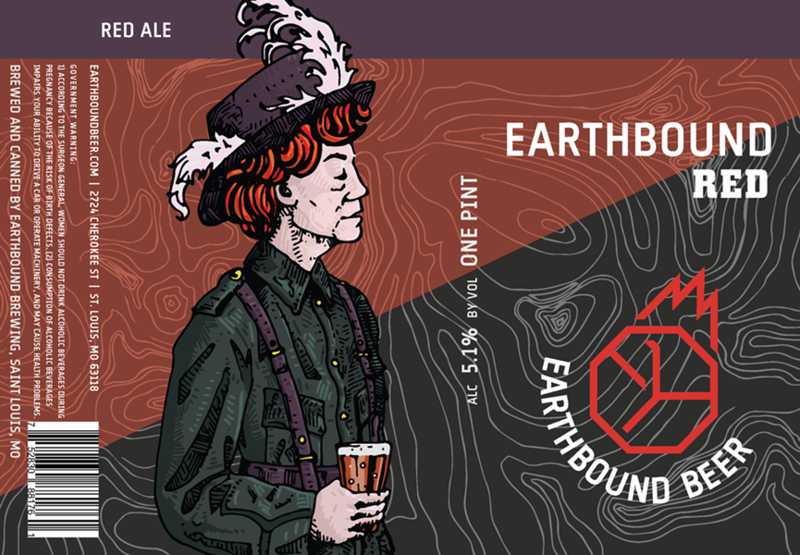 While Earthbound has long paid tribute to suffragette Constance Markowitz with its "Earthbound Red," other labels depict dogs wearing sunglasses, bears and even swamp monsters. Says Keating, "If people think this hits close to home, they should examine their house."